Stowe has hundreds of miles of back roads to explore on gravel grinders. If your looking for a good route, we can point you in the right direction. 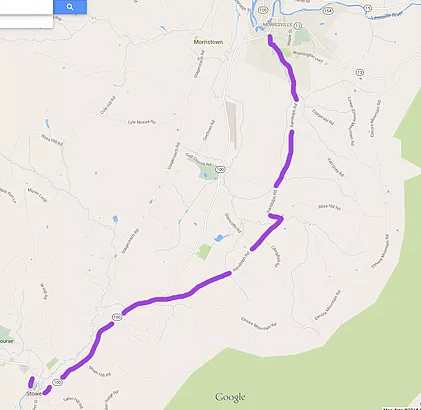 If you are a road bike rider, here are a couple of good loops for you. For those looking for a relaxing road ride through farm lands filled with mountain views, Randolph Road loop is for you. A short ride up Rt. 100 brings you to the less traveld route to Morrisville. 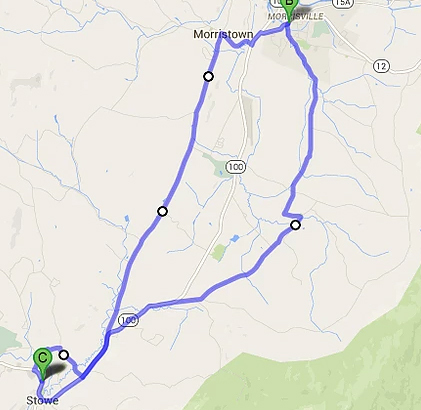 Riding from Stowe to Morrisville via Stagecoach Road and Randolph Road provides expansive views of Mt. Mansfield, Mt. Elmore and the surrounding valley. Approximately 20 miles with climbing and decending involved. One of the biggest loops around Stowe brings riders up up up, into Smugglers Notch and through the rolling farm lands of the area. Being a more advanced ride, those attempting this route should be prepared for a solid road ride. Approximately 45 miles with climbing and descending involved.